'I can't begin to say what brought me here,' confesses the narrator of Midcentury, a verse novella set in Ireland in the nineteen forties. Rich in historical insight, this multi-layered narrative probes the mind and heart of an American lexicographer, down on his luck, who finds solace in the Irish landscape and a respite in Ireland's wartime neutrality. Seeking definitions in a culture which resists them, he discovers in Irish history a refraction of his fortunes and obsessions. By turns passionate and reflective, ironic and visionary, Midcentury tells an engrossing story - one of defeat and recovery, devastation and spiritual renewal. 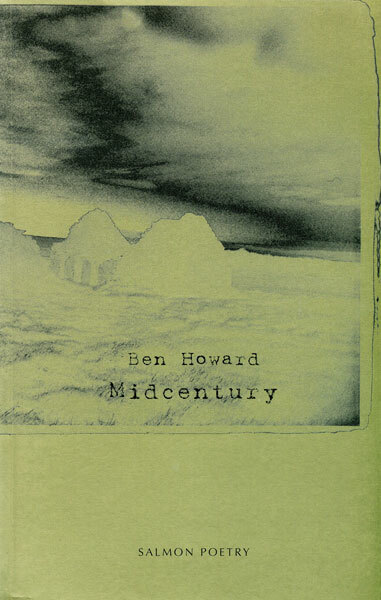 A native of eastern Iowa, Ben Howard is the author of The Pressed Melodeon: Essays on Modern Irish Writing (Story Line Press, 1996), the verse novella Midcentury (Salmon, 1997), and four previous collections of poems, most recently Dark Pool (Salmon, 2004) & Leaf, Sunlight, Asphalt (Salmon, 2009). He has received numerous awards, including the Milton Dorfman Prize in Poetry and a fellowship from the National Endowment for the Arts. He is Professor of English Emeritus at Alfred University. Rebuked him harshly for his glib remark. That truth and courage drink from a common well. As though a voice were deepening by the mile. Sifting the chaff of amber Northern light. Of innocence and imminent fulfillment. Or the temerity to call my own. The small, ordered pattern of one's poetry is but a commentary on the universal, statistical randomness in which one has a part to play but is not, a las, a part-owner. set when it is, emerges as a man of our own time, slightly at odds with the ways of the world but human and recognisably one of us.